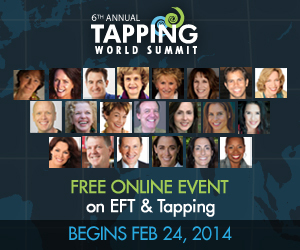 "After studying Gary Craig's in-depth courses I truly am excited about the multiple uses of EFT. With EFT we can now offer people in need a gentle, safe natural means of becoming free of toxic feelings, constricting anxiety and limiting beliefs." Many people are becoming familiar with the concept that the body can be healed through the mind, yet few people realiize that you can also heal the mind through the body's energy systems. EFT is a form of Energy medicine that shares the same principles as Traditional Chinese Medicine, especially the ancient science of Acupuncture. The Chinese, thousands of years ago recognised that existence of an inherent energy system within and around the body know as the meridian system. This electrical/energetic blueprint of the body needs to be in constant balance for the body/mind complex to be healthy. Acupuncture meridians are energetic pathways within the body that channel information, as vital energy called Qi (chi), to the organs and tissues of the physical body. The emotional and mental body are an intrinsic part of the whole system. If there are blockages in the meridians, causing an internal disruption to the flow of Qi, it may manifest as anything from a physical illness to negative emotional feelings and sensitivities. The energy fields and our psychology are intricately linked. EFT's protocols directly interact with the body's energy system, rebalancing and harmonising the Qi disruption that occurs when a distressing emotion is experienced. Clearing the blockage enables our energies to flow freely again, leaving us relaxed and peaceful..
We also mustn't forget that EFT may also be used for positive out comes such as Deep Relaxation, Relationships issues, all types of Study, Learning difficulties, any type of Addiction, Creative blocks and to increase Sports performance. EFT overcomes your fears, phobias and all types of negative emotions in minutes. How would you like to relieve and release anger, trauma, sadness and anxiety, safely, rapidly and permanently? Each session involves gently tapping a sequence of energy points on the upper body with the fingertips, which releases the negative emotional charge. Nothing else is used and the client doesn't have to discuss the problem, as long as they are inwardly focused on the problem, the tapping works. 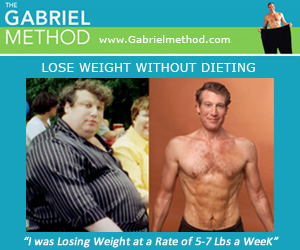 It seems to be too good to be true and yet it only takes one session to experience the results. Once EFT is learnt, it is easy to practice with yourself, friends, family and pets. It truly is the best self help technique for clearing negative emotions. Learn more about this wonderful self help technique and join one of our EFT Workshops.